Improved living and working conditions can be traced to Forest Management Units. Timber certification is one mechanism for ensuring sustainable forest management. Here are certified timber in a log pond in PT. Sumalindo Lestari Jaya 2, West Kutai district, East Kalimantan, Indonesia. Photo by Michael Padmanaba for Center for International Forestry Research (CIFOR). Congo Basin - When it comes to sustaining forests so that they can sustain people, forest certification has been heralded as an important tool for improved forest stewardship. The jury is still out on just how much forest certification schemes can tackle deforestation and forest degradation. 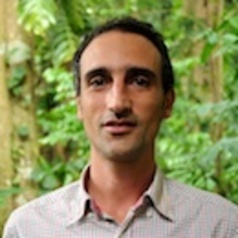 But a recent study by the Center for International Forestry Research (CIFOR) shows that logging concessions in the Congo Basin that have been certified by the Forest Stewardship Council (FSC), one of several certification schemes in use around the world, can indeed outperform non-certified concessions on a range of variables used to measure social outcomes. The study was undertaken in 2013 in Cameroon, Gabon and the Republic of Congo on nine certified and nine non-certified Forest Management Units (FMUs), which in 2013 covered the largest area of certified natural tropical forest in the world, with about 5.3 million hectares. Still, this represents only about 10 percent of the entire surface granted to FMUs in the Congo Basin. There also lies the importance of this study. Before certification expands further, it is important to know whether it brings any social improvement to the people living in and around certified FMUs when compared with non-certified ones. Our research team found a strong association between the presence of certification and improved working and living conditions in and around certified FMUs. Positive social outcomes occurred in certified FMUs more than in non-certified ones because companies were required to adhere to schedule for meeting the standards defined by a set of clear criteria, which were evaluated by an independent third party. This is a key difference with what normally occurs with most non-certified FMUs that are operating ‘only’ within the legal framework: forestry officials mandated to monitor such FMUs can be effective in checking timber-related variables (e.g. authorized volumes), but have generally low capacities and no incentive to check social standards. We also found that improvements occurred because companies in certified FMUs set up ‘discussing’ platforms to maintain a permanent open channel of communication with local populations, and because companies were more conscious of the importance of maintaining a good reputation. Conflicts did not disappear from dawn to dusk, but regular discussions help creating a more relaxed environment where negotiations can occur. Editor’s note: This is an excerpt of an article that appears in its entirety on the website of the International Union of Forest Research Organizations (IUFRO). To read the rest of this article — and to cast your vote for this article in a blog competition ahead of the IUFRO World Congress in October 2014 — click here.